After the scandal of Running Rein’s Derby win in 1844 and subsequent disqualification, 1845 produced another momentous piece of Epsom folklore, when an unheralded maiden colt, The Merry Monarch took the premier classic prize, his only turf victory in a career of only four runs over three seasons. The Merry Monarch was a bay horse of 16 hands, bred by his owner William Gratwicke, whose stud farm was at Ham Manor, near Angmering in Sussex. Gratwicke had also bred the dam, The Margravine, who was a sister to Frederick the 1829 Derby winner. His sire Slane had finished 2nd in the 1837 Ascot Gold Cup when beaten six lengths by the famous Touchstone. To begin with The Merry Monarch was stabled at the Duke of Richmond’s Goodwood stables although records indicate that after a disagreement with the Duke and following the encouragement of Admiral Rous, Gratwicke (pictured below) moved his horses to Newmarket under the tutelage of trainer John “Daddy” Forth. Forth had in fact both trained and ridden Frederick to Derby success and at; the then age of 62 is believed to be the oldest winning jockey of the famous race. He also trained the 1840 Derby winner Little Wonder. As a juvenile The Merry Monarch ran only once, in the Ham Stakes at his home track of Goodwood on 30 July 1844, but was unplaced in a field of 10 behind Refraction, a filly, who the following year won the Oaks. His first race of 1845 was the Derby Stakes on Wednesday 28 May. Amongst a large field of 31 runners The Merry Monarch was not considered to be one of the favourites although his price of 15/1 was coupled with Gratwicke’s other more fancied runner Doleful. Little known jockey Foster Bell took the ride. The 2,000 Guineas winner Idas headed the betting at 3/1 with Weatherbit 7/2, The Libel 6/1, Alarm 10/1, Pam 20/1 and Old England 22/1. The day itself was marred by poor weather, controversy, along with incidents both at the start and during the race. At the start, Alarm became restive, lashed out at The Libel, who reared up and knocked off the former’s jockey Nat Flatman. Alarm thereupon charged the chains at the side of the course, but despite serious injuries to the colt, only discovered after the race, was remounted by an injured Flatman and after a delay of approximately an hour the great race was underway. The Merry Monarch was prominent from the start and as the field came around Tattenham corner, Pam fell and badly hampered Weatherbit and Old England, both owned by John Gully. By this point the favourite was a beaten horse. At the distance The Merry Monarch took over the lead, running on strongly to beat Annandale by a length with Old England a further length away in third place. The race controversy surrounded the running of John Gully’s Old England and unbeknown to him a plot to stop the colt winning or even running in the race, with large sums having been bet against the horse by Hargreaves, a Manchester bookmaker of known disrepute. A subsequent Jockey Club investigation, after Gully had fiercely raised his accusations at Tattersalls in London resulted in William Day, son of the trainer John Day senior, plus villains Bloodworth and Stebbings being warned off Newmarket Heath. No action was taken against Hargreaves due to lack of evidence. John Day junior later trained Derby winners in 1846, 1847 and 1854, two of them for John Gully (1783-1863), who himself was not immune from controversy having been jailed at twenty one for bad debts. Upon his release, when some wealthy sportsman settled his debts, he emerged as a prize fighter and became the undisputed champion in 1807-08. He featured in two memorable bouts with Bob Gregson, the first staged at Six Mile Bottom on 14 October 1807, where he won in the 36th round. 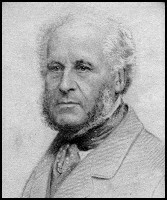 After retiring he became a publican where he setup and flourished as a bookmaker and then as a racehorse owner winning both the Derby (as part owner) and St Leger in 1832 with St Giles and Margrave respectively. An unscrupulous character, Gully was a heavy gambler and paid a heavy fine of £500 for assaulting Robert Ridsdale the fellow owner of the 1832 Derby winner when they quarrelled over a division of their spoils after the St Leger triumph. Despite this he served as Liberal MP for Pontefract (1832-37) and acquired substantial wealth from the coal mining industry. The Merry Monarch’s next race was at Goodwood, when as the 4/1 on favourite for the Gratwicke Produce Stakes over 1m 4f he finished a head behind Hersey in four runner field. He later went wrong and failed to make the St Leger at Doncaster. His last and only race as a four year old took place on the anniversary of his great triumph the previous year at Epsom, the day after the 1846 Derby in the Grand Stand Plate, a mile and a quarter handicap carrying top weight, where he finished unplaced out of 12 runners. Before the end of the year the horse had been sold three times, firstly after his last run at Epsom to one of the “Three Wise Men” (featured in a later advent blog) Lord George Bentinck, who a month later sold all his racing interests to Edward Lloyd-Mostyn, before being bought back by Gratwicke at auction for 78 guineas. The Merry Monarch was a disappointment at his owner’s stud at Ham where he initially his fee was 10 guineas and his only notable success was as damsire to Bertha, who finished 2nd in the 1862 1,000 Guineas. However, despite being regarded in racing circles as one of the worst ever Derby winners, The Merry Monarch’s only success on the turf was arguably the most prestigious three year old race in the world.